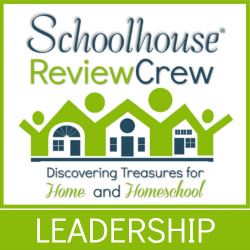 As a member of the Review Crew from the Old Schoolhouse, I am participating this week in a series on 5 Days of Tips for Homeschool Parents. This first tip has been prompted by none other than life itself. Life has a way of throwing a curve into any well laid out plan. And that is exactly what has happened this week. After giving thought to the things I would love to provide some tips and tricks on as a homeschool mom for more than a decade now, life through us some curveballs and executing that plan has proven to be a bit of a challenge. So Tip #1 has changed. The first tip to surviving and thriving as a homeschool parent is flexibility. This does not mean that you don’t plan. But that you give yourself the grace and freedom to change course when needed. There are those days that we have beautiful full days of school planned out and Dad happens to be at home rather than working. We all love having Dad around, but it definitely has a way of changing our plans. A day of Dad being on the farm all day combined with Spring like weather can certainly mean bagging the lesson plans and grabbing a hammer to help with fencing. There are those years where the curriculum that we spent literally hours pouring over in trying to choose just the right thing does not seem as ideal when actually being used by our child. Of course, there are the day to day interruptions of illnesses, unexpected appointments, days when we really need to focus on disciplining hearts rather than memorizing math facts, and the blessing of out of town guests. It is much too easy to get discouraged and defeated when the plan does not seem to work out. We can get ourselves so stressed out that we are now behind schedule and put everyone under a lot of pressure to make up for that last hour or day. That type of pressure usually only accomplishes one thing – stealing our joy! God has ordained each of our days. We must remember that the plan is not our God, but rather God is the orchestra conductor of our lives that lays out all of the harmonies and key changes to make our lives a living and wonderfully pleasant aroma to Him. So the next time you feel derailed by life in accomplishing everything written in your lesson book, take a step back and remember that God’s plan will still be accomplished and we can trust Him as we take some unexpected turns. This is a lesson that I seem to need to repeat many times over. As a planner by nature, it is a challenge at times to really be flexible and trust God with the outcome. Stay tuned for tomorrow’s tip, which may come in just a few hours. You see – life happened yesterday and then again today. The need for flexibility became paramount and the timing and topic of this post is much different than what was planned. What has not changed are the other great bloggers from the Review Crew that are participating in this week’s blog hop. I encourage you to check out the great things they are sharing. Here are just a sample of some of their blogs where they are also posting their tips and tricks for homeschool parents.